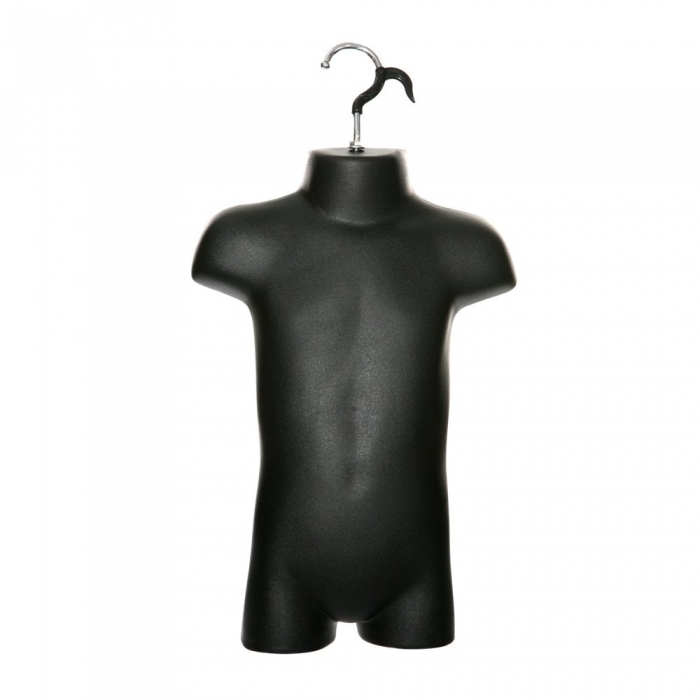 This hanging child mannequin body form age 4-5 yrs is available in various colours and an ideal display solution when it comes to displaying your apparel in an affordable way. A hollow design makes this an ideal and lightweight mannequin when displaying fashion accessories and clothes. Manufactured from durable plastic and supplied with a chrome swivel hook with plastic spike. This child hanging body form is in a black finish and is approximately 54cm in height - including the hook, with a 28cm chest & 20cm hips. Sold in a box quantity of 12 body forms.